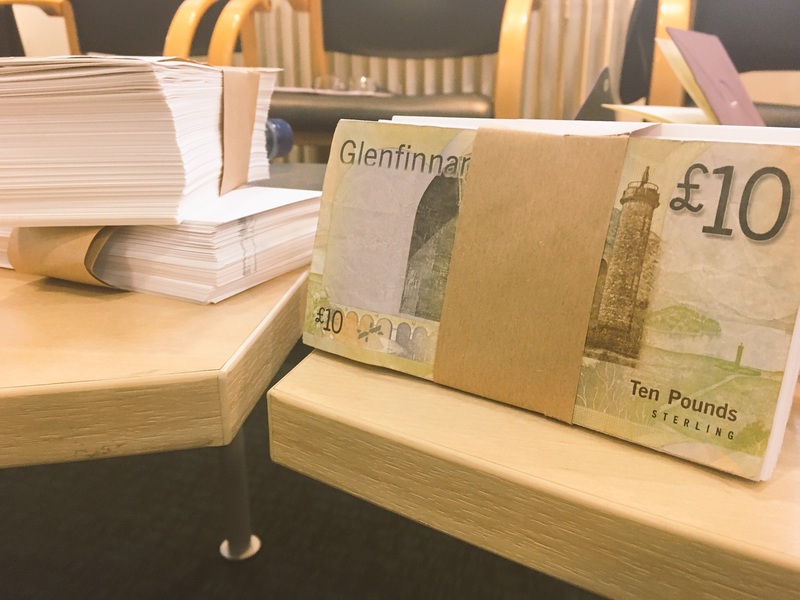 There was an excited buzz and a chink of coffee cups round the room as Sasha Hird-Saunders brought a packed Court Room to order and kicked off the first Stirling Dragons’ Den. Sasha introduced our five dragons, Professor Gerry McCormac (Principal and Vice-Chancellor); Professor Judith Phillips (Deputy Principal for Research); Professor Matt Jones (Head of Science, Swansea University); Professor Helen Cheyne (Professor of Midwifery) and Linsey Dickson (Head of Research Funding) and aimed to put those pitching at ease. In November there had been a university-wide call for teams to put forward ambitious research plans that tackled big societal challenges in a multi-disciplinary way. Once shortlisted the teams were asked to present their 5 minute pitches to the Dragons. After tough questioning from the Dragons and the audience, via twitter #StirDragonsDen, it was time for the Dragons to give their verdict. 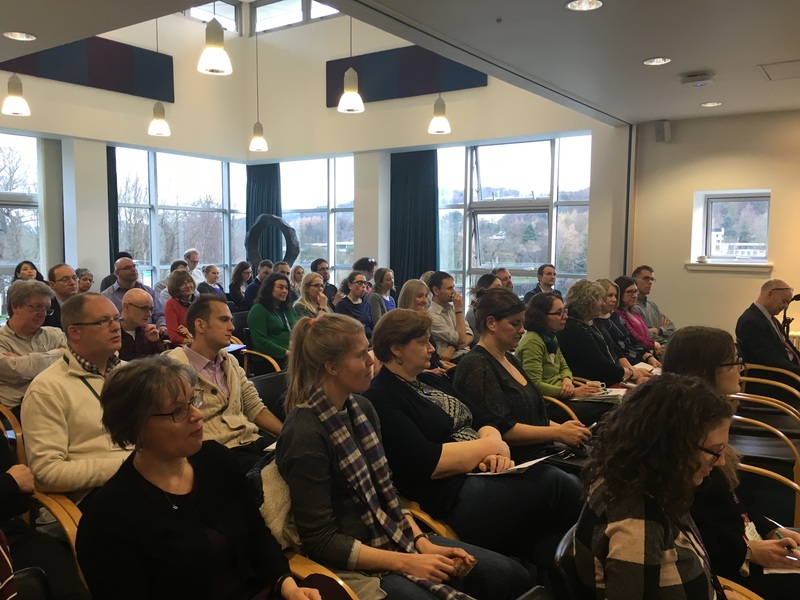 The teams were bidding for a variety of different support including; academic buyout, studentships, mentoring, equipment or travel and networking expenses. Professor Anderson presented on behalf of the team using the analogy of the 3 little piggies, the first little piggy’s dreams of getting on the housing ladder crumbled due to poverty, the second little piggy’s due to bureaucracy and the third little piggy’s attempt to get on the housing market squashed under market forces. The team spoke passionately about the need to build more than just homes, the need to build communities, houses are simply brick and mortar, loneliness is costing the UK billions. The Dragons drove a hard bargain, offering resources but demanding large scale bids in return. 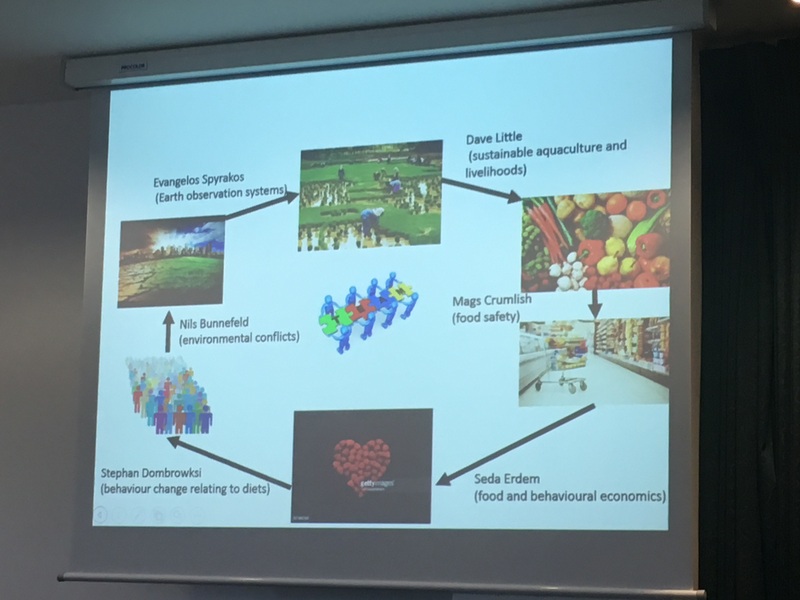 Professor O’Carroll started with a Quiz asking the audience about their health behaviours and spoke of the key challenge to improving health being a change in behaviour. Short term changes are relatively easy but maintaining long-term behaviour change is difficult – Stirling has expertise in the maintenance of behaviour change. 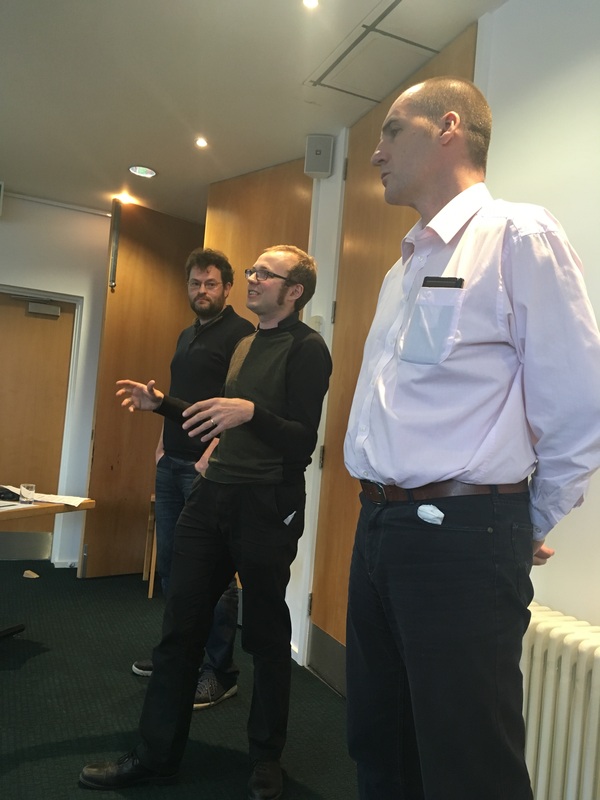 The team received PhD students and funding from Professor Phillips to establish a Stirling Patient and Public Involvement group. While it is impossible to stop or predict Extreme Events, like the Fukushima Daiichi nuclear disaster as they lie outside the ‘normal range’ of occurrence, our research could make communities fleeter and fitter to cope with these disasters. Such extreme events effect the oldest, youngest and poorest people within a society and our research can improve resilience across the board. The Dragons supported the bid through PhD studentships and teaching buy-out recognising the urgency to kick-off the work within this theme. 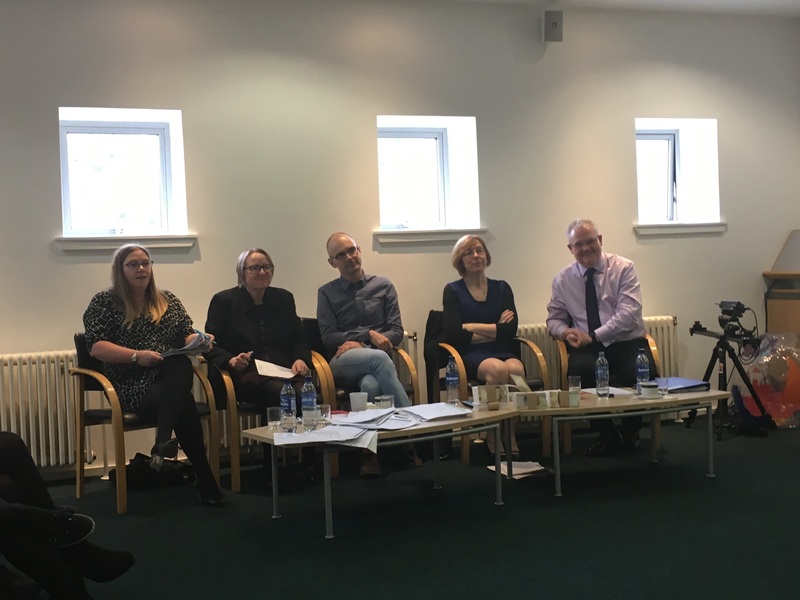 Bringing together the interdisciplinary team for this pitch makes the Stirling offering different from other institutions focusing on peace studies or conflict resolution. The team highlighted how the existing approaches to the concepts of peace, conflict and cooperation are too narrowly defined and there is a lack of common language across disciplinary boundaries. The team were successful in receiving all their resources from just two of the dragons. The work of the mobile cognition team looks at taking lab based psychological research and presenting mobile and wearable technology allowing for the investigation and understanding human behaviour in a way that tackles real-world societal challenges. The team used the example of falls in the elderly and the stress that then puts on society through health and social care requirements. By understanding why these individuals fall more frequently we can look to tackle the causes. With equipment being a substantial part of the team’s bid they were relieved to hear that Matt Jones would support this aspect of their pitch. Global food security illustrating the wide range of disciplines covered by their team. Rachel Norman pitched on behalf of the Global Food Security team and talked about how Stirling looks to tackle the issue from farm to fork. With the current issues of courgette and lettuce shortages in the UK due to weather conditions in Europe Food Security is currently covering the front pages of the British media. On a global level the team looks to tackle the UN sustainable development goals of “zero hunger”, “good health and wellbeing” and “responsible consumption”. Find out more about Rachel’s experience via her blog post on facing the dragons. The Being Together team explored the idea of using Big Data to illustrate how we exist together as diverse people. Using data gathered from social media and Twitter the team illustrated how data can be used to gather information about human behaviour and public engagement with societal issues. Or using the Strava running app to model exposure to air pollution. They were successful in receiving support to establish a doctoral training centre to understand the issues that big data can help us tackle. While machine learning is growing exponentially and is of huge importance to big business the team illustrated that context guides everything that we do: how we perceive the world and how we react to it. Algorithm research is receiving huge investment however it still remains fragile without real world grounding. The Stirling team aims to bring together our strengths in neuroscience and machine learning in big data science with the context of human behaviour. Dragon Helen Cheyne posed a challenge to the audience to consider how they would link with the Contextual Learning group. Following three offers of collaboration Helen agreed to provide them with a substantial proportion of their requested resources. The Team highlighted that we now exist within the Digital Age and that this has been trans-formative in society and the ways in which we interact with each other and the ever developing technology. The Internet of Things and Artificial Intelligence are initiating huge societal change over a very short period of time. The team aims to investigate how these new technologies are being used in professional environments. The team received all the resources they had requested. The day was brought to a close by Professor Judith Phillips our Deputy Principal for Research highlighting the need to continue these interdisciplinary conversations and for research to be fun. 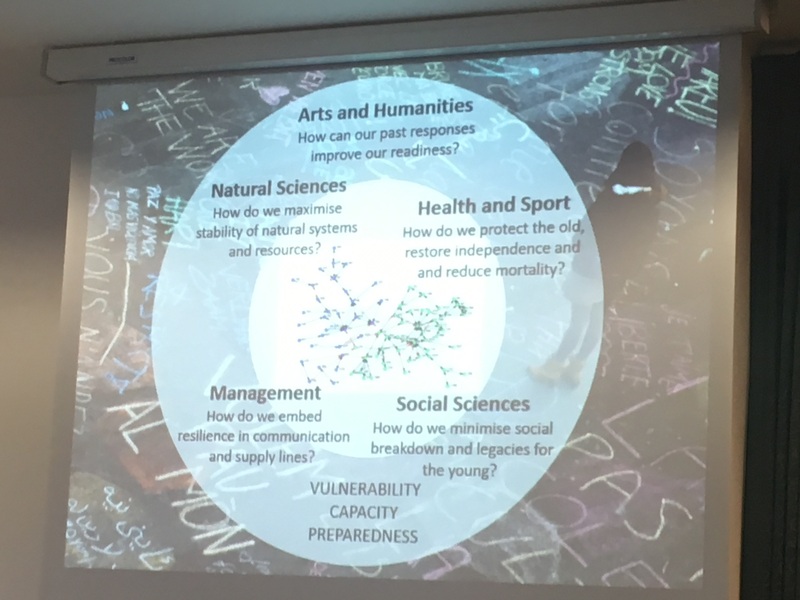 Professor Phillips also mentioned the up and coming Research Week 18th – 21st April as another opportunity for interdisciplinary connections and fun.